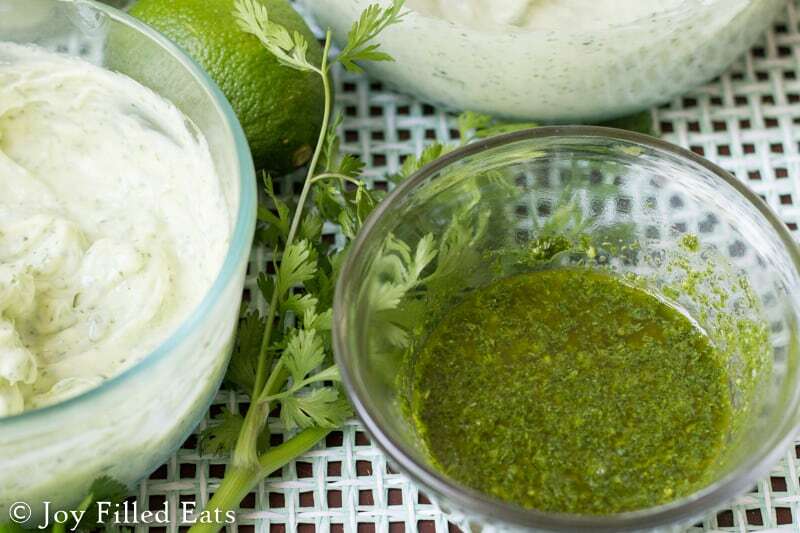 This Cilantro Lime Pesto is so versatile you can make dip, dressing, or mayo from it! They are all low carb, grain/gluten/sugar free, & THM friendly. The pesto & mayo are dairy free. 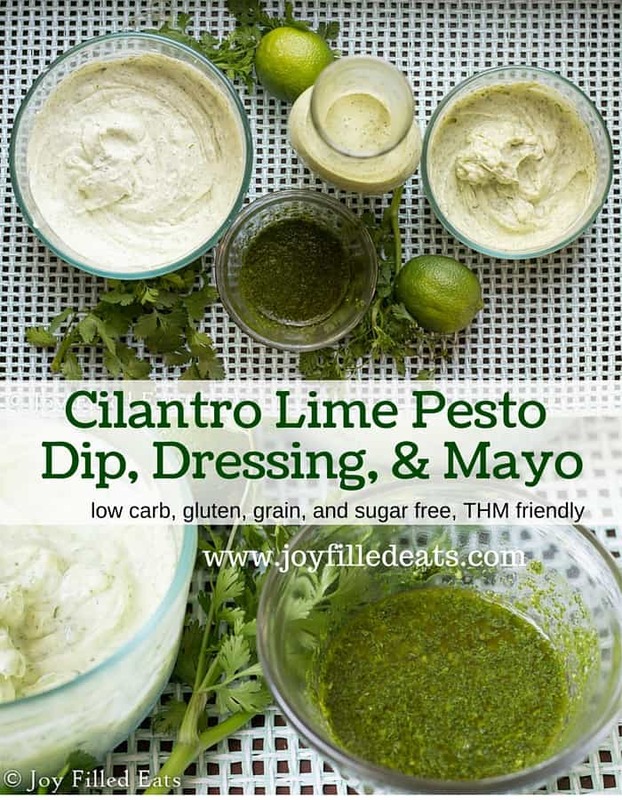 The dip is excellent with cut veggies, the dressing goes really well with taco or grilled chicken salad, and the mayo is wonderful on turkey and cheddar lettuce wraps. Last summer I planted a small cilantro plant in my garden. I don’t think it lived more than two weeks. I can normally keep plants alive but haven’t had luck with cilantro. When that little plant died it must have dropped seeds because the first thing to appear in my garden this year was a huge cilantro bush. It is now taking up about 2 square feet of my garden and is up to my knees even after chopping it back to make this recipe. 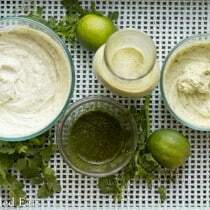 Expect more cilantro recipes to join my blog this summer. 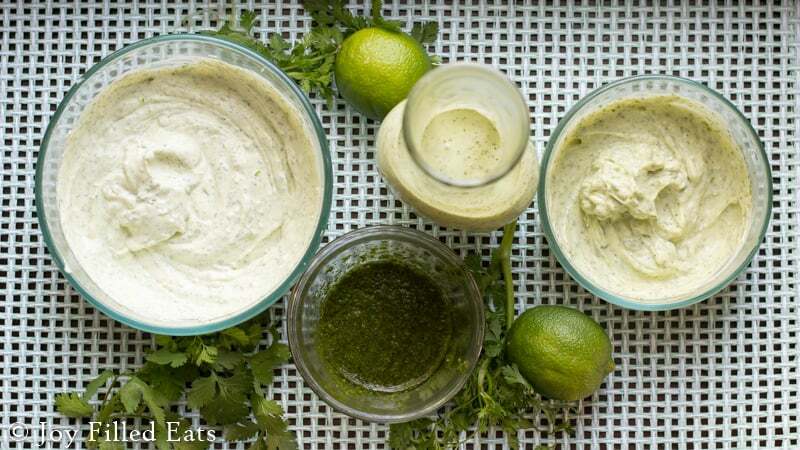 Cilantro is one of those things you either love or hate. I used to hate it. Really. But over the years of Mexican take out (I could eat Chipotle a few times a week joyfully) it has grown on me. Last summer my husband’s favorite side dish was a quick salsa of black beans, corn, tomatoes, onions, and, you guessed it, cilantro. That was when my love of this herb was cemented. 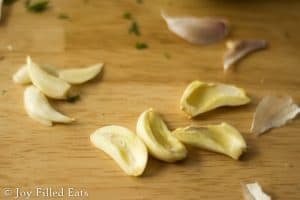 Discarding the center of the clove (the pieces on the left) makes the raw garlic less sharp. 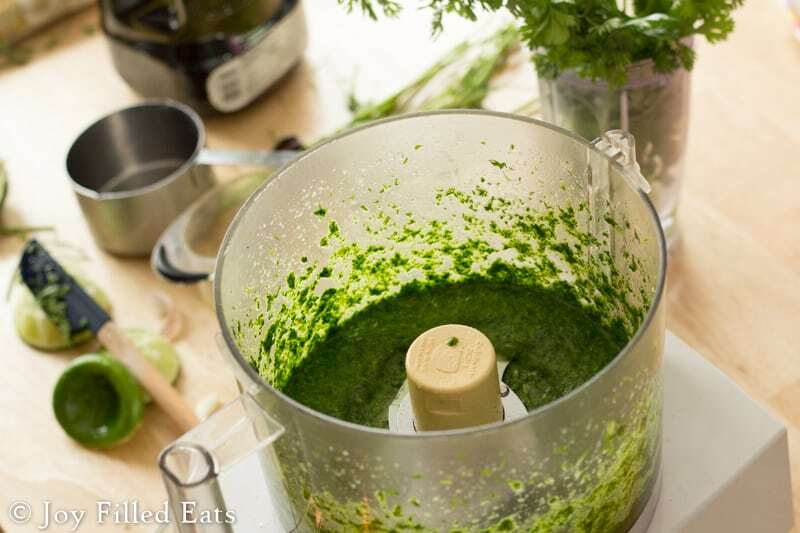 Pesto Directions: Process in a food processor until the cilantro and garlic are finely chopped. Dip, Mayo, & Dressing Directions: Whisk ingredients listed for any of the recipes together until smooth.